During the warm weather, you probably use your garage a lot more when the winter rolls around, it can be more difficult to work outside. Why not plan now to get a heating solution together for this winter? 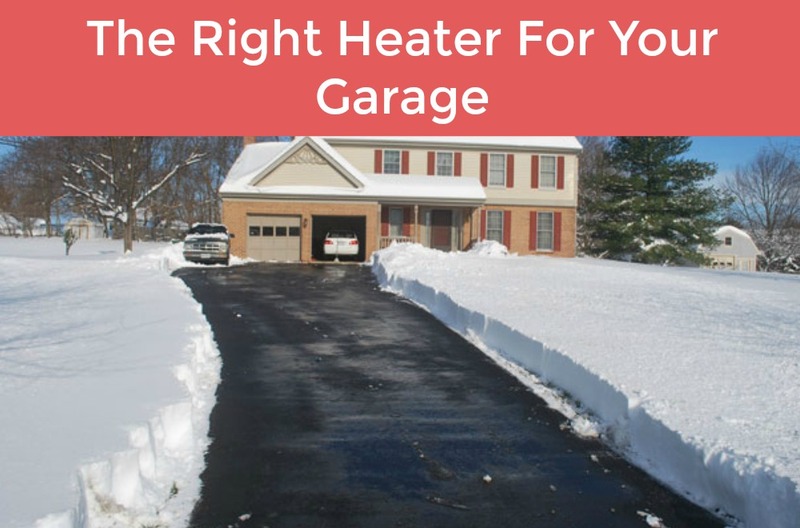 The team here at Garage Door Repair of Tulsa has a few tips to choose the right heater for your garage. A space heater is a simple solution to bringing heat into your garage. Unless you get a powerful enough heater, it may not truly heat the room, merely knock the chill off. That may be enough for your purposes. You may consider plugging in more than one space heater if you have a two car garage. Put one on each side of the room to heat up the area faster. If you want to invest some money, you can have a wood furnace installed in your garage. This is ideal if you do woodworking in your shop and have scraps you need to get rid of. It is important to note that you shouldn’t burn treated wood because of the fumes it can put off. Baseboard heaters were very popular before central heat came on the market. These heaters are small and stay out of the way. Units like these plug into the wall and don’t require vent pipes or chimneys. You will need to invest money upfront on these units, but they do not cost that much to operate. They make a great investment, especially if you live in a cold area. You can tap into your existing HVAC system depending on your unit. This will require you or a professional to run ductwork into the garage from the main unit. You should be aware that when you divert air into another part of the house, it can affect the output of the whole unit. Be sure to find out if your unit can support an extra room. If you invest in heating systems in your garage, but you let all of the air out or cold air in, it is pointless. You need to seal up the garage, including the doors. If you can see light coming in from around the door, then you need to install weather stripping. Insulation is another thing you will want to consider. If you do not already have an insulated door, you should consider upgrading or installing insulation on your existing equipment. You can purchase a kit for that, or have our team come out and do the upgrade. If you need your door insulated or sealed, now is the time to call the team at Garage Door Repair of Tulsa . We will get one of our technicians out to your location to evaluate your project. Get the work done now before the cold weather sets in.